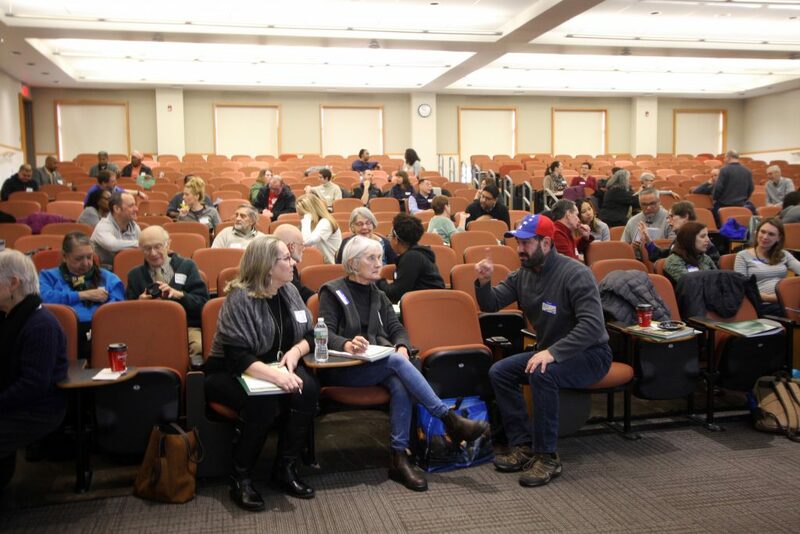 Fairmount Park Conservancy convenes over 20 non-profit partners in Philadelphia for cross-learning and collaboration opportunities as an outgrowth of our work on Reimagining the Civic Commons. In fact, a recent customer behavior study found that most regular visitors spend 16 minutes on average at the market, and more or less visit the same vendors each time. They also follow their own set path through the market each time, in an attempt to avoid crowds. Gupta’s experience and the customers’ feedback is what led the market to embark on a Wayfinding and Interpretive Signage Project two years ago. 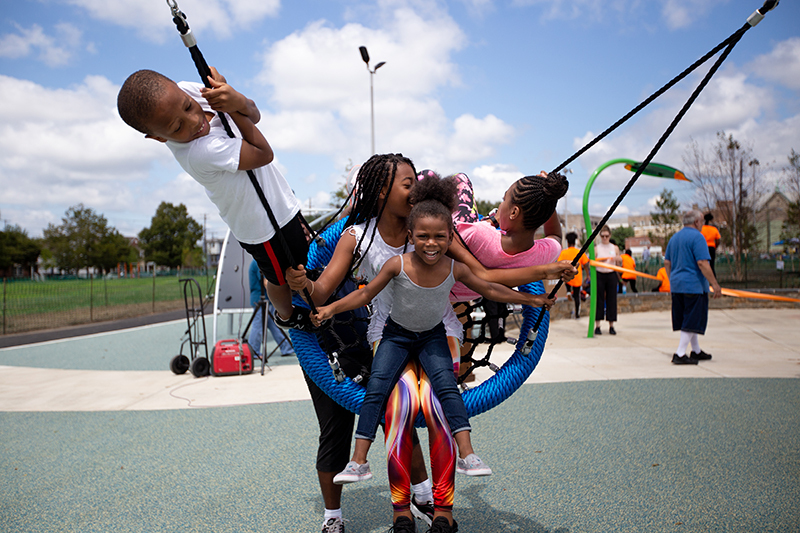 At a recent learning session with the Reimagining the Civic Commons Learning Network, a program of the Knight and William Penn Foundations and convened by Fairmount Park Conservancy, Gupta shared lessons learned from the wayfinding project. Aaron Goldblatt of Metcalfe Design holds a test wayfinding sign at one of the entrances of Reading Terminal Market. Courtesy of Metcalfe Design. 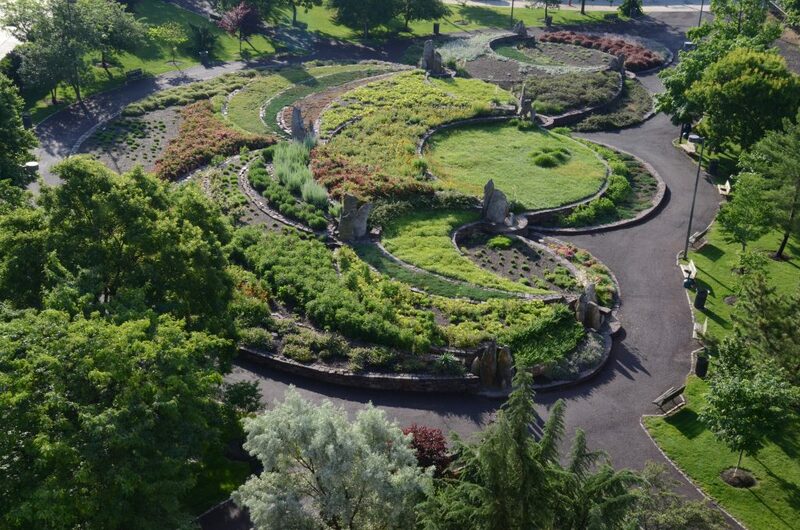 First, the market sought the help of the Lenfest Center for Cultural Partnerships at Drexel University, which hosted a class called Interpretive Planning at an Historic Site in 2016. 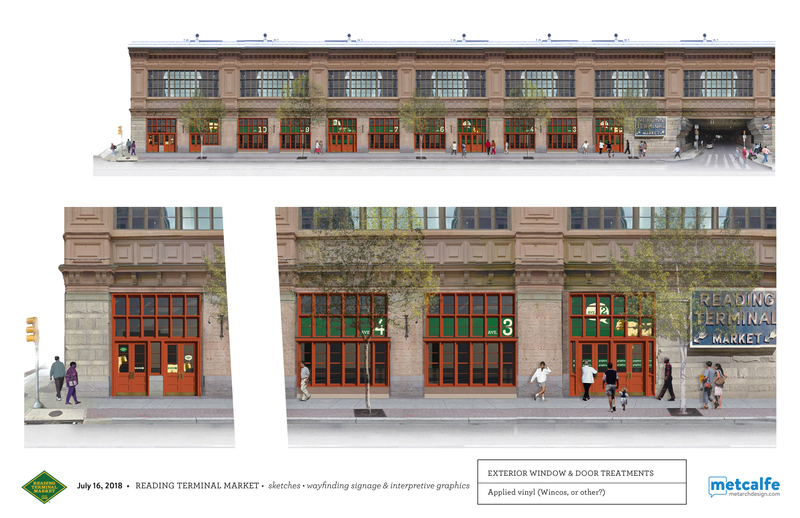 The course, taught by Page Talbott and Melissa Clemmer, tasked 10 graduate students with developing an Interpretive Planning Report for Reading Terminal Market. The collaborative effort identified three major themes for the market: Continuum and transformation: Our history is your history; Authenticity; and Diversity. Design firm Metcalfe then took the students’ findings a step further, embarking on an interpretive process that included documenting an oral history of the market. The designers engaged with vendors, regulars, and visitors alike, prompting them to tell their stories and memories of selling, shopping, and eating at the market. The interpretive signage is also meant to tell more of the market’s stories–old and new. The team made sure to incorporate faces of the vendors and longtime customers and allow their stories to tell the history of the market. The wayfinding project proposes installing interpretative signage at seating areas in the market to encourage “dwell moments” among visitors. But where to place all of the signs? There are the obvious spots at every entrance for wayfinding signs that will direct visitors to the nearest restrooms or parking. But for the interpretive signs, the team proposes placing them in seating areas–on the columns, along the walls–scattered throughout the market. This will allow customers to dwell and soak in the stories and history of the market as they enjoy a meal or snack. With the proposal now in play, now comes the hard part, says Gupta. Once the market receives final cost estimates, fundraising will begin so that the signage can be printed and installed. Use wayfinding to help tell your history and story. 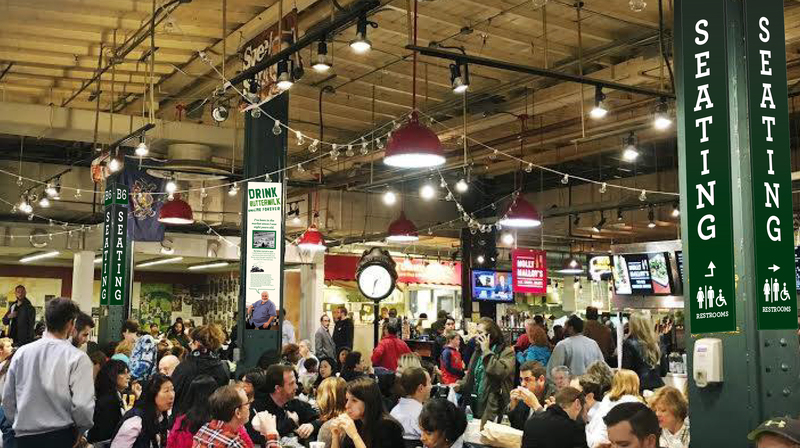 For such bustling place as Reading Terminal Market, it’s been easy for the market’s history to get lost in all of the chaos. Incorporating interpretative signage into one’s wayfinding project can help with that. It’s also provides a good opportunity to engage with the community and incorporate their stories and voices to tell the history of a place. Have fun and catch people’s eye. 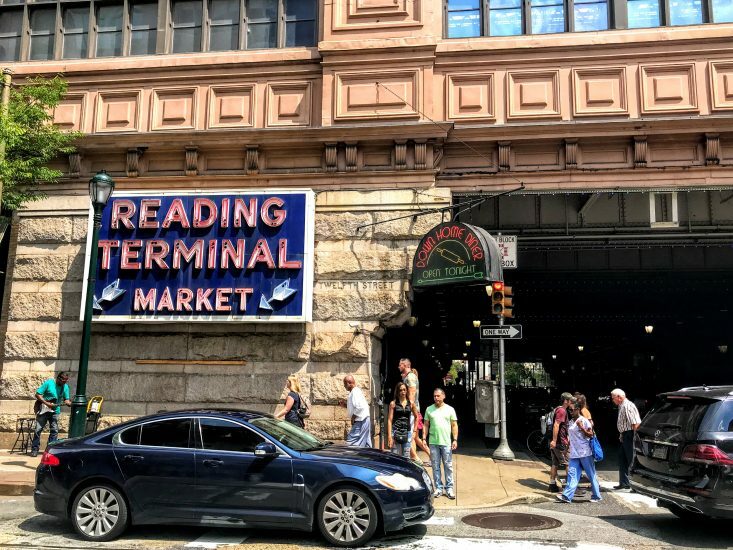 In a place like Reading Terminal Market, where every vendor has its own iconic sign, wayfinding signage needs to be both simple and eye-catching to stand out from the rest. This is where having some fun with the design can help, though always keeping a place’s identity in mind. Create a tool(s) that speaks to all people. 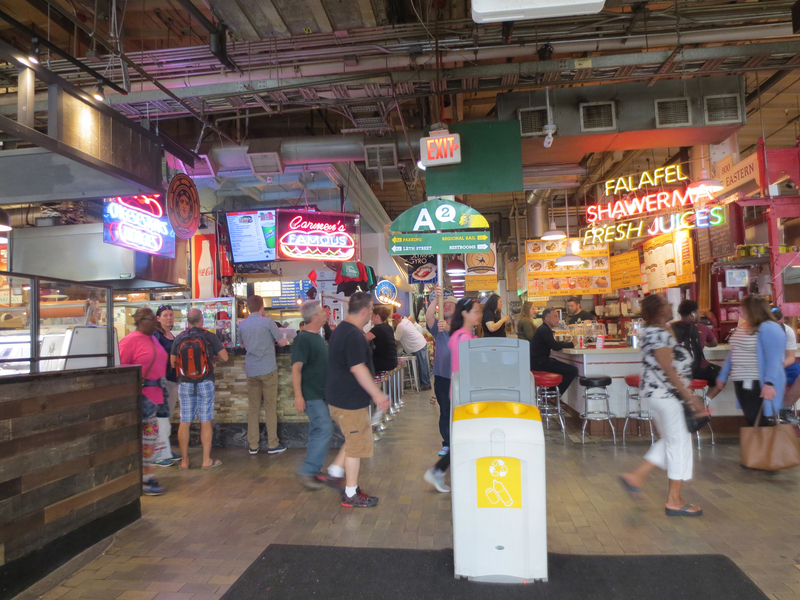 Reading Terminal Market welcomes thousands of visitors from all over on a daily basis. While signage should have some creative elements, on fundamental and functional level, everyone should be able to interpret a wayfinding sign, whether it’s the universal symbol for restrooms or parking. Keeping the signage consistence and recognizable, using repeating elements, can help make users feel more comfortable and have greater control as they navigate the experience.